Residents of Northern Mariana Islands, “America’s best kept secret”, recount their woes far from the world’s attention. Saipan, Northern Mariana Islands – Time moves with a stoic certainty in the Northern Mariana Islands, as if that part of the Pacific is so far removed from the rest of the world, that it pulsates to its own rhythm outside the frenzy of manically digital 21st century space. It breathes slowly with a confidence that belies the ease with which the islanders let life unfold. Some will say it was that “easy” approach to living that led the native people to be ill-treated. Over centuries, they were colonised, corralled, and displaced. Europeans, Asians, Americans – they all came as “overlords” in varying degrees. The splatter of islands was in the middle of one of the world’s most important waterways, linking East and West. It was “strategic” and as such was trapped between their battles and power plays. The islands are part of the United States now. They pretty much have been since World War II. US planes took off from Tinian, the second largest island in the Northern Mariana chain, to drop the first atomic bombs on Japan. Locals feel it is all they are known for – if their island home is known by outsiders at all. But the people of Tinian don’t want to be ghosts. There is a life they want to claim as their own that they feel powerless to grasp. “Yes, great, we are part of the United States, but what does that ultimately serve us?” one islander said. The US military holds a 99-year lease on two-thirds of Tinian. They were supposed to build a base to develop the island and bring progress. The military base was never built, and with half the time still left on its lease, the US now wants to use the island for live firing drills. The native people were relocated by Spanish colonisers centuries ago, but the US let their descendants move back after World War II to “re-populate” and “re-civilise” what had become a painful wound in world history. The US government has said it will take the islanders’ concerns into consideration, and that it will review its plans. But many on Tinian remain fearful. “When has the US ever not got what it wants?” one resident said. Because they agreed to become a US commonwealth, Tinian residents are US citizens – US citizens, however, without the right to vote in national elections. 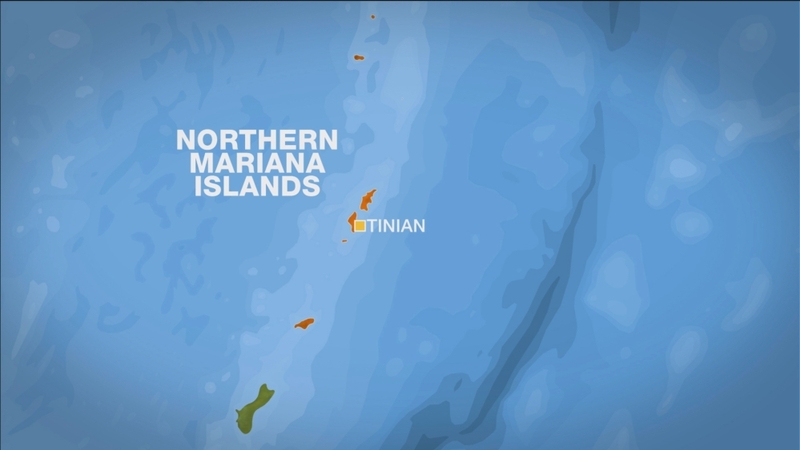 As if Tinian’s problems weren’t “unique” enough, in Saipan – the largest island, and the capital – local officials say they are facing a potential “humanitarian crisis”. The federal government took over immigration and border control a few years ago. This after numerous accusations were made of poor labour practices, and abuses, under the local government. Since then, thousands of long-standing migrant workers risk losing their livelihoods and having their families ripped apart. Not that it was better before, they say, but at least then, they didn’t have to leave the commonwealth when they had to process the renewal of their work permits. He has been in Saipan for nearly 25 years, but he is still considered a “guest” with no hope for residency. He said he had no prospects where he came from in the Philippines, and his Saipan-born child – a US citizen – has access to a better future here. In time, that child can petition for his parents to be granted citizenship too. It’s a far-off dream, but one that thousands of “guests” are willing to make sacrifices for. If the native islanders feel like second-rate US citizens, their “guest workers” often feel like second-rate residents. They all share the islands that tourism brochures have called “America’s best kept secret”. The commonwealth’s own secrets are barely hidden by its facade: the waters that sparkle a transparent crystal blue, the mountains that entice with an emerald lushness pregnant with possibilities and the smiles on its people’s faces that cloak a painful isolation. The islands can seem paralysed in time, an incongruous 21st century throwback to a decaying colonial age. But creeping in, unhurriedly, deliberately, performing a very different colonisation – investors and tourists from nearby China, Japan, and Korea. Many islanders hope the influx will bring opportunities for development that have otherwise escaped them. It’s easy to feel isolated here. Time still moves slowly, taking steady breaths with a certainty that belies the changes that may be about to unfold.